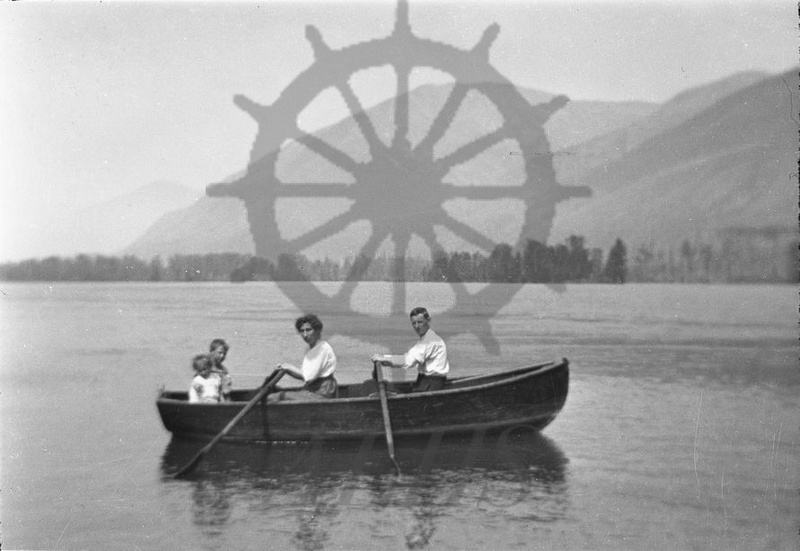 Family in rowboat, south end of Upper Arrow Lake, Demars, ca. 1910s-1920s. Box Mountain in background.